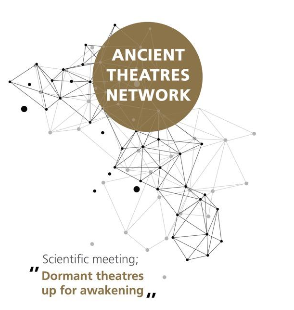 The first international scientific meeting of the International Network of Ancient Theaters is to take place on Friday, March 29, 2019, 5 pm to 9 pm, in the amphitheater of the new Acropolis Museum. The event is entitled ““Dormant theatres up for awakening”” and will present the cases of ancient theaters in Greece, Spain and Italy that were brought to light in a dense urban fabric and have been restored. There have been restituted to their initial function or are about to be. Participants will share experiences, solutions and know-how for these difficult cases of management of ancient theaters. The International Network of Ancient Theaters aims to apply an original model of cooperation, with an international character, for the monitoring, protection and enhancement of ancient sites where performances were once held. One of the priorities is the classification and scientific documentation on a continuous basis of ancient theaters located in the Mediterranean basin and beyond. In order to effectively share this knowledge with people around the world, an online platform that will host and display the scientific contents produced is being developed. We warmly thank the Paul and Alexandra Canellopoulos Foundation for supporting the costs of organizing the event and creating the platform as well as the board of the Acropolis Museum for its kind hospitality. You may watch the video, here.